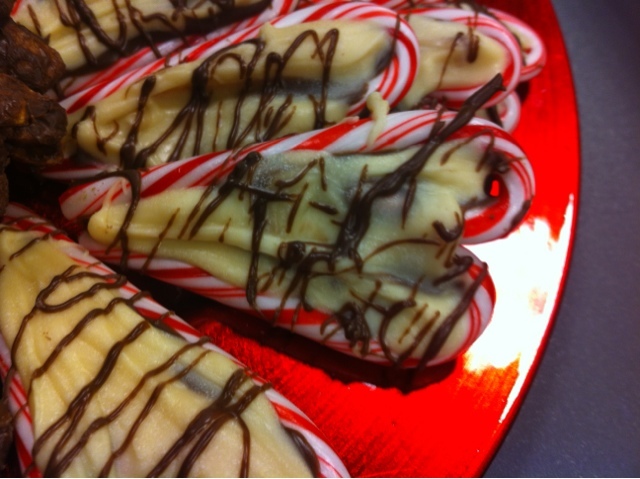 How can you go wrong with candy canes and chocolate?! Never! A layer of dark chocolate, then a layer of white chocolate, topped with swirls of dark chocolate...... Yummy! 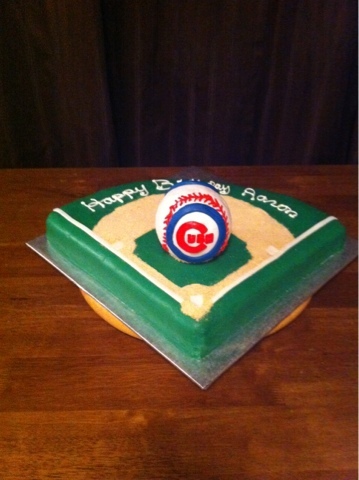 This was a fun cake! I created a baseball field with a Cubs baseball which was a styrofoam ball covered in fondant. 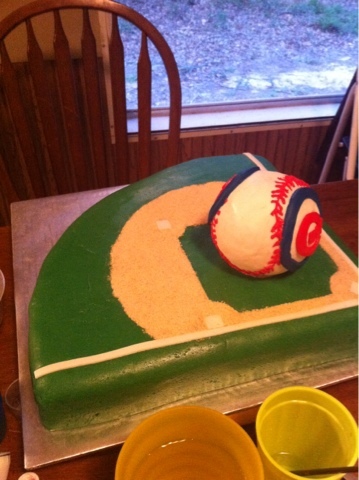 I used a styrofoam ball so that the ball could be saved. Two layers of yummy chocolate cake covered in homemade butter cream. Fondant is homemade marshmallow fondant. Ready for an out of the world experience? A perfect blend of pumpkin and chocolate! 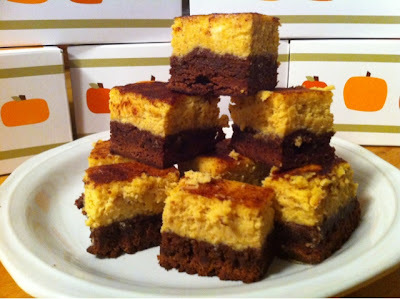 One wonderful layer of chocolate brownie topped with a layer of pumpkin cheese cake which I cut into perfect bite size treats! This would complete any holiday meal or a great treat for any pumpkin lover! 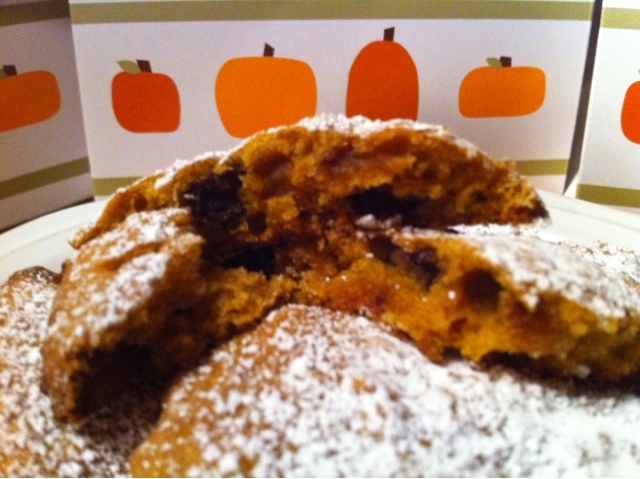 A moist blend of pumpkin and oatmeal topped with powdered sugar for the perfect level of sweetness! Check out this light and fluffy dessert! It is calling your name! 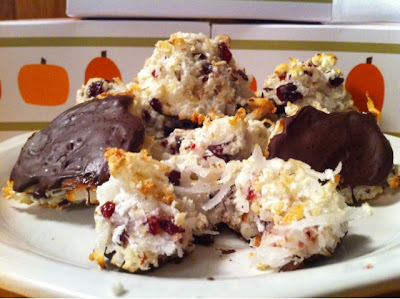 Made with egg whites, almonds, cranberries and melted chocolate! 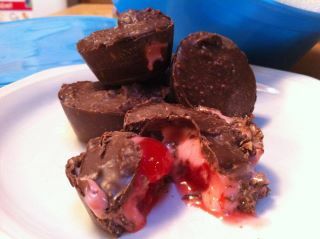 Home Made Chocolate Covered Cherries!!! OMG!!! Yummy Yummy.... Can't get enough of these. So I was trying to get creative with a few holiday ideas and guess what I came up with a darn good one. 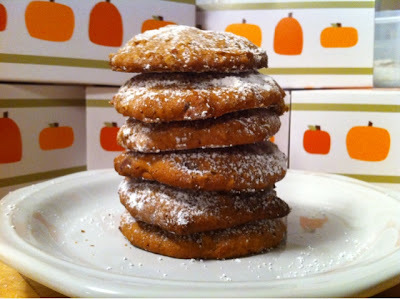 Great for any Holiday Party or pair with some of my harvest cookies. Chocolate 2 layer cake with chocolate covered strawberries! 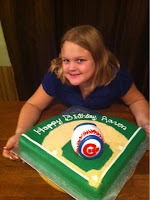 My daughter turns 10 on Thursday! She is so excited.... she can't decide on what type of cake she wants and has gone between so many different things. Right now I am about to start making 125 cupcakes and two cakes! She wants a mix of Halloween and Spa.... this could be interesting! I think we are going to make the cupcakes Halloween and the cakes more elegant with chocolate covered strawberries and stuff like that. If anyone has any suggestions, I am open to all comments! 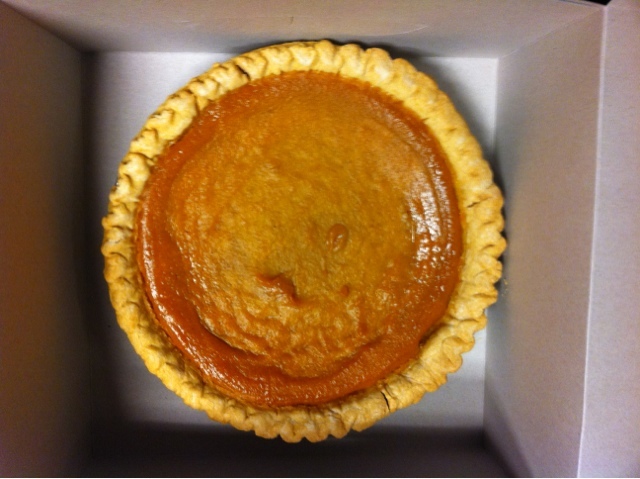 I have gotten so much positive feedback on the "Roasted Pig Cake" it has been wonderful! Thank you everyone! Please bare with me as I get myself organized and everything posted. I am currently working on test flavors and much more. Working out those details of pricing and policies. I will be posting everything a little bit at a time. 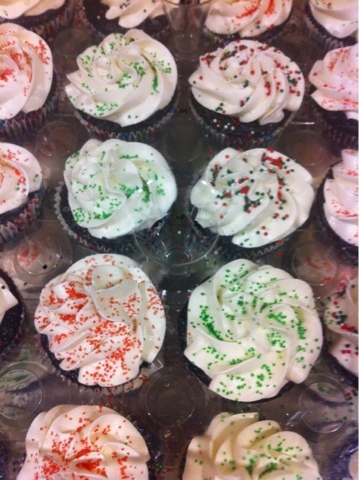 But if you are in need of something special or just some great cupcakes please email I would love to help you out. Lisa and I had a wonderful time creating this roasted pig. It is made from 8 thin layers of yummy chocolate cake, rice crispy treats, marshmallow fondant, fruit and kale. Everything is completely edible except for the 6 toothpicks and 1 dowel inside the cake itself. If you are interested in a cake like this or have something else you would like me to create please feel free to contact me at info@cakecreated.com.